An upmarket investment property with lovely sea views"
Exclusive Mandate! 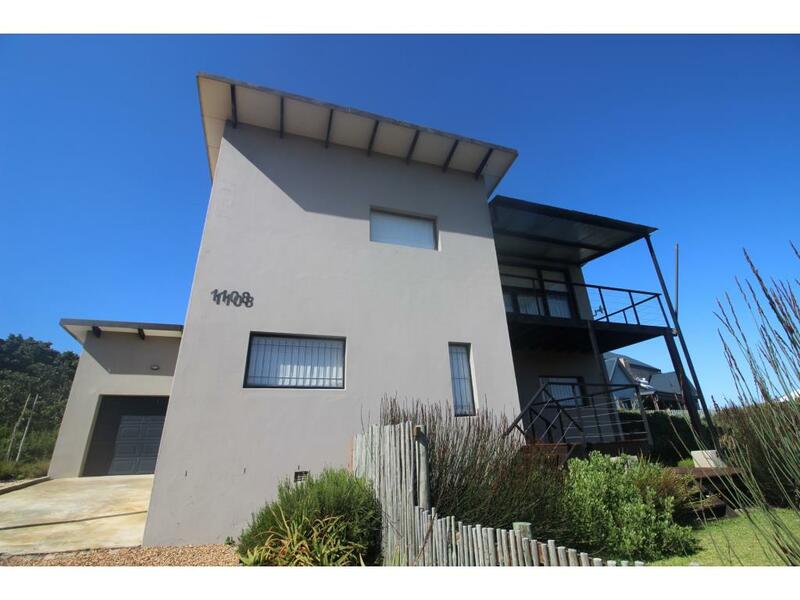 An upmarket investment property with lovely sea views and an easy walk to the beach! This is an architect designed spacious and modern North facing home, ideal for entertaining your family and friends in style. The top floor consists of a well-lit generously-sized lounge opening onto the large balcony, and an upmarket open plan kitchen/ dining area. The main bedroom with built-in cupboards and en-suite bathroom is also situated upstairs. Downstairs you will find a TV lounge, a large braai/ dining room opening onto the sheltered back veranda, a kitchenette, three bedrooms (BICs) and two bathrooms. There is a tiled automated garage with access to the house. Extras include a Wendy House, alarm system, car port tarpaulin, and you can make an offer on the furniture. In the evening relax on the upstairs sheltered and roofed balcony with sea and mountain views or go downstairs into the beautiful wood-fenced garden with indigenous plants and a tiny stream flowing through it. Or just have a relaxing stroll on the nearby beach. Upmarket, spacious, loads of accommodation and an entertainer’s delight. Add a short walk onto the Main Beach and nice views. View by Appointment.